Over the weekend the Ulverston School team travelled to Witton Country Park, Blackburn to take part in the British Schools Orienteering Champs. 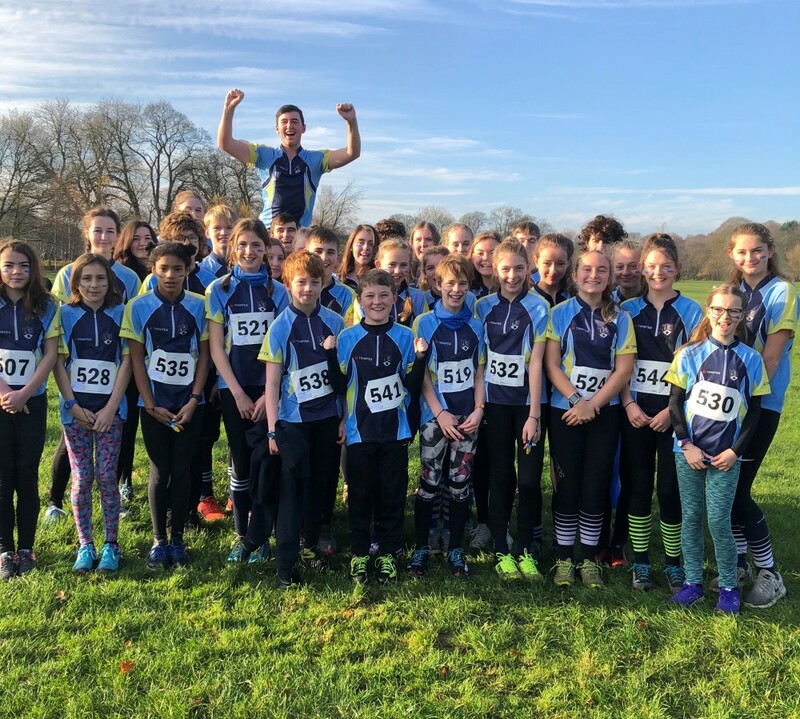 Congratulations to all who took part, as UVHS won the large secondary school category at the British Schools Champs with several year group wins and top 5 placings. Full Report and additional photos from the team below. This Weekend Lakeland Orienteering Junior Squad took two mini buses of UVHS pupils to the World Schools orienteering Championships at Tockholes. We also took 11 helpers as we were to man the starts and control collect after the event. I think we (the parents) were just as nervous as the children. They work hard, turn up each week in all weathers and travel to events across the country in order to get to the point where they are in with a chance of competing for England. In spite of all the preparation they know that it’s only the results today that will get them selected. As I was helping at the start I did not see any of the children until they arrived at -1 ready to set off. A quick brief of punching start and which map to collect was all I could say. The children deal with the pressure very differently to each other, some very focused, some bouncing around some looked physically sick. So off they all went, into the woods. And for each and every one (our team or not) I wished them the best run they could. After a bone chillingly long time everyone was through the start, we packed up and headed back to assembly. As a parent with two children running it really was an “I am not sure if I want to look” moment. One child elated and one a little disappointed but neither mispunched and both in positions where they could count for a team. We can take teams of up to 8 people in a team with everyone hoping for a good run which pushes the competition down a bit further. By the end of the day it looked likely that UVHS would get teams selected from the Junior Girls and Senior Girls category with the Jr boys probably in second place (no prizes for second today though) and hopefully one of the junior boys might get a place in the select team made of high scoring individuals. The senior boys had a good day but also had strong competition. The results do not get announced until later in the week so for us we headed off home as we were all at British Schools Orienteering Championships the next day. In the morning I felt quite relaxed, I know what a great experience World Schools was for me last time and I knew what the selection races would be like. I tried to prepare myself mentally and physically but at the start of the course I still found it hard to get my head into the map. By the last couple of controls I felt tired but happy with my run. At the Finish I thought it was one of the best runs I had had in a while. Unfortunately when I went to download I found out I had mispunched. I was devastated and thought I had let the whole team down. Instead of dwelling on my mistake I had to put it behind me, learn from it for future runs and start afresh. As my team mates finished I realised that they had done pretty well and I couldn’t have been happier for them. I have learnt a lot from this race – concentrate on my run but don’t dwell on a mistake. Being part of the team is really rewarding as everyone is so supportive of each other. The opportunity to represent England is incredible. We really appreciate the time and effort that all the parents and coaches go to on our behalf. Personally, I was really nervous as we had a reputation to uphold! UVHS have had many teams selected to represent England and I didn’t want to be the team that didn’t make it. I also wanted the chance to go to Estonia and compete against athletes from all over the world myself. The terrain was ideal for me – runnable forest with perfect weather being dry and cold. Everything went like clockwork and I was in first place after my run. It was an anxious wait for the rest of my team to finish but we ended up with a 1st, 5th, 7th, 8th & 9th. Now we wait for the official confirmation to see if a lucky 5 of us are off to Estonia. The Teams have now been announced and UVHS will be taking both Jr and Senior Girls teams to Estonia along with Dylan Kenny who has been selected for a place in the Jr Boys select team. Good luck to the Girls who will now run in house section races to gain a place in the final teams. On Sunday 18th November Ulverston Victoria High School attended British Orienteering Championships. UVHS won the large secondary school category along with numerous individual and team awards. The year 7 girls and boys teams came second. In the year 8 category the girls team came first with Jessica Bailey placing third individually. The year 8 boys team came second. In year 9 both the girls and boys team won first place. Emily Turner and Laura Brown taking the top two places in the girl’s category and Dylan Kenny coming second in the boys. The year 11 girls placed first with Ellie Simmonds taking second place in the individual category. Year 12 boys and girls teams both placed third with Jess Ensoll taking second individually. Finally, year 13 girls placed first and in the individual category Catherine Bloom placed third with the boys getting second place.